Adviser. Mark has been a strategic consultant for the Tavistock Group for more than 15 years on initiatives in real estate and education. In real estate, Mark has been licensed since 1985 and is a Certified Commercial Investment Member (highest real estate designation) and has worked in multiple sectors including residential, property management, commercial, land and luxury. In 2006, Mark was hired by the University of Central Florida to lead a team to value the economic impact of a Medical School and was instrumental in helping UCF and Lake Nona Development Company win the $300 million funding which led to the UCF College of Medicine and launch of the Lake Nona Life Sciences Cluster, now known as Medical City. Mark worked as a consultant to the Lake Nona Development Company on several Medical City deals, including Nemours Children’s Hospital, Valencia College, Orlando VA Medical Center and many other land deals. Additionally, Mark has worked on a variety of real estate projects for the Tavistock Group throughout the region, the Bahamas and Mexico. From 2010 through 2015, Mark was President and Broker for the real estate company of Isleworth, the region’s highest priced luxury golf community. In Isleworth, Mark closed over 70 transactions including the region’s highest priced home in more than 10 years. From 2013 through 2015, Mark also served as the President of Stockworth Realty Group, a company founded by the Tavistock Group. Mark led the Stockworth team from $46 million to over $91 million in sales, and in 2015 alone, Mark brokered over $135 million in sales with over 180 closings. From 2011 to 2015, Mark closed over $400 million in sales from over 400 closings. Stockworth is the preferred referral and relocation firm to the Tavistock Development Company, the United States Tennis Association and many other major employers in Central Florida. In January of 2016, Mark resigned from Isleworth and purchased Stockworth Realty Group. Mark has been a featured speaker for the Orange County Property Appraiser and has been recently featured nationally on Fox News as the area’s expert on luxury real estate.In his education role, Mark has led the education initiative for Lake Nona since 2006. Lake Nona is the state’s fastest growing community with over $3 billion in active construction. Lake Nona has been featured in numerous national media outlets, and was featured in Harvard Business Review for its innovative approaches to healthcare and education.In 2009, Mark worked with the team that helped Florida and Orange County win the $700 million “Race to the Top” federal grant, which over $23 million came directly to Orange County Public Schools. Mark was a co-founder in the Lake Nona Institute and is the active Director of Education. Lake Nona Institute hosts the annual Lake Nona Impact Forum, attracting renowned speakers such as Deepak Chopra, Sanjay Gupta, Arianna Huffington, Dr. Oz and many others. Mark was also the founding chairman of the Lake Nona education council. 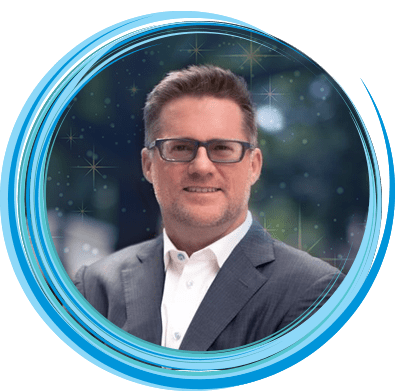 In 2004, Mark founded Atlantic Academy where he created an Entrepreneurial Fast Track program for young adults, where instead of teaching business to young adults, he went into business with them. His program was featured at Lake Highland Preparatory School for four years and since then, he has helped prepare over 200 young adults for a life of entrepreneurialism. For years, Mark has been a guest lecturer and business plan judge at both UCF and Rollins college. In 2016, Mark launched the Stockworth Academy, a program for young men and women to learn entrepreneurialism and leadership skills. The goal of the academy is to create desirable, hirable young adults. Mark recently held a series of lectures at the Orange County Corrections facility where he put 47 incarcerated men through his academy program. The Director of the facility, Noberto Perez, said, “it is one of the most impactful programs we have ever experienced here.” Mark also is currently teaching at First Presbyterian Church of Orlando, where he is mentoring young adults from impoverished Mercy Drive area enrolled in the Four-12 program. Mark received his MBA from Rollins, his BA from the University of Central Florida and received his national CCIM (Certified Commercial Investment Member) designation in 2008. Mark and Jodi Hayes have two daughters, are members of First Presbyterian Church of Orlando and have lived in Orlando for over 30 years. Mark enjoys guitars, cycling, fountain pens and spending time with his family.